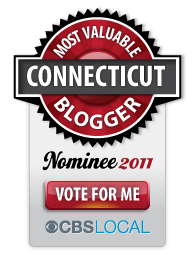 The GREEN CT REALTOR is looking for your help! I've entered my family into a travel contest and we need people to vote for our entry once a day through April 26th. It's super fast & easy - takes 2 clicks. Please feel free to share, tweet, post, etc.....we are extremely grateful for all of your help!!! Some days I feel as though perhaps I've gone GREEN in every way I can think of, and just looking for more ways to be GREEN proves to be exhausting.